Home » News » Planning a flight from Canada to the U.S. Ever thought about flying to the U.S. once you are done your license? Or are you thinking about flying to the U.S. and don’t know where to start? Find out what you need to do in this guest post by John Maxwell from Golden Horseshoe Aviation! Disclaimer: This post should not be used in lieu of a briefing from a qualified instructor or as the sole source of information, as rules and regulations are subject to change over time. Learn about US airspace before you go. Image courtesy of Wikipedia. 1. Ensure that your documentation is in order (airworthiness certificate, registration, etc.). 2. Obtain charts and airport directories prior to taking flight and have these onboard when leaving, When flying to the US, ensure that you have current copies of both the US airport/facility directory (A/FD)  and The Canada Flight Supplement on board. 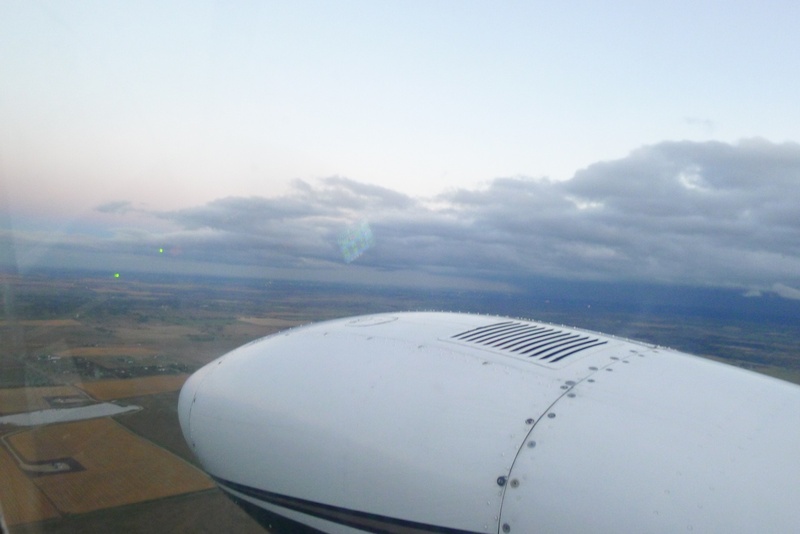 Using a GPS and flight following will add extra layers of safety. Be aware that when you reach US airspace the flight watch frequency that reports weather and other flight related information changes from 126.7 to 122.0. 3. Call 1-800-WX BRIEF to check Notice To Airmen (NOTAM) advisories as well as Temporary Flight Restrictions (TFR), These restrictions can move and change on a day-to-day basis, so ensure that you recheck them again shortly before your departure. Just as you should check TFR, you should read charts to become familiar with military operating areas. Take note of their dimensions and floors. You may need special clearance to fly through these areas or you may be able to fly beneath their floors. 4. Register your flight plan with the US Department of Homeland Security and submit your manifest to eAPIS (Electronic Advance Passenger Information System). NOTE: simply filing with eAPIS alone is not enough. You also must provide advance notification to Customs by phone. Moreover, you will be required to purchase a US Customs and Border Protection Decal and display it on the outside of the aircraft to demonstrate your free has been paid. Remember that you must be in a plane with Canadian registration, unless you have a FAA license, in which case you can fly a plane registered with the USA. Perhaps the most notable difference when flying in the US is the circuit joining pattern at uncontrolled airports. When crossing the border either into Canada or into the USA pilots need to be on a flight plan and need to be in contact with ATC and your landing airport. The landing airport must have border services. While flight plans in Canada are automatically opened according to the proposed departure time, in the US they are not. 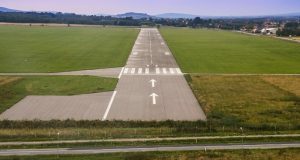 Therefore, if you do not contact your ATC (or flight watch) directly to have your flight plan opened, your landing will technically be “illegal” as you will have flown without an opened flight plan. 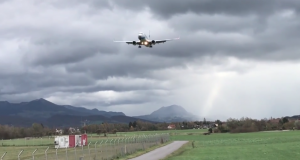 You can either call your ATC or flight watch or radio them to have the plan opened. While most cross border flights are uneventful, it is prudent to consult a certified instructor and review the latest regulations during flight planning. 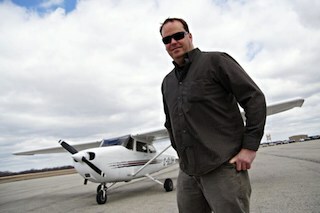 John Maxwell is the Chief Flight Instructor for Golden Horseshoe Aviation in Hamilton, Ontario CYHM. He has developed and delivered both private and commercial ground school training programs. He is a seasoned Transport Canada Commercial Pilot, Class II Instructor, Multi Engine as well as an FAA Commercial Pilot, Multi IFR, ATP written. He has over 3300 total hours flight time including 170 night, 100 instrument and 28 Multi Engine. He has provided over 2400 hours dual flight instruction. John is a career instructor. While many instructors are building time to move on to ‘get a job as a real pilot’, John enjoys people and teaching them to fly airplanes. John’s collaborative style enables him to build lasting and meaningful relationships with his students. As GHA’s CFI and Chief Operations Officer John is responsible for all operational aspects of Golden Horseshoe Aviation. Thanks to John for his article!